We are a non-profit organization serving Southern Colorado, dedicated to assisting individuals and organizations with training and development related skills and services. all the time. Meet people from other chapters as we will be sharing our Webinars! More to come. 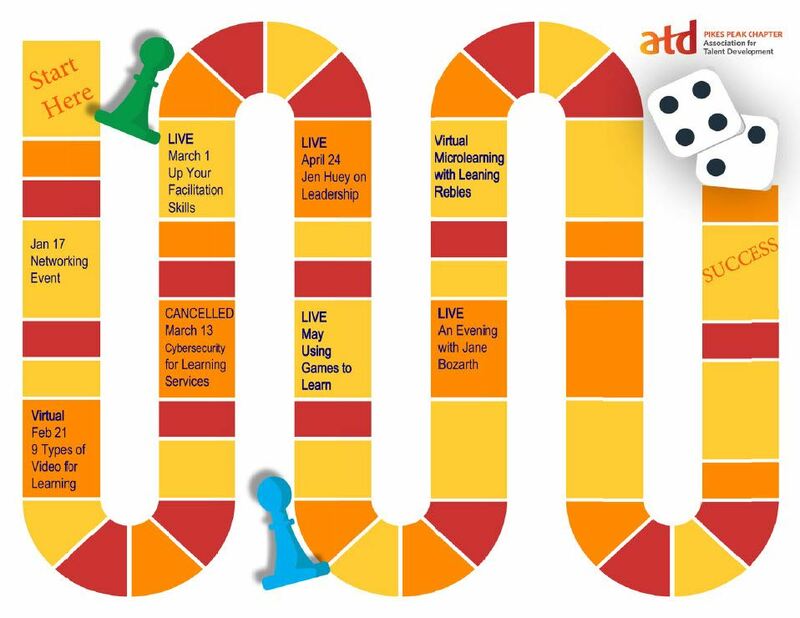 ATD supports their local chapters by encouraging members and nonmembers alike to use our Chapter ChIP Code on books, events, and memberships. We earn dollars that are used to improve your Chapter and provide better membership value and programs. Please use our ChIP Code whenever you purchase from National. What are you doing to develop yourself? The ATD Certification Institute's Certified Professional in Learning and Performance Certification (CPLP) equips you with the tools to be the best in the field and lets employers know that you have real world, practical expertise that can be readily applied to the current work environment. CPLP gives you the capability, credibility and confidence to be a high performing contributor in your organization. Be one of the best -- become a CPLP! For more information, click on the CPLP logo or contact our VP of Professional Development. In addition, the Rocky Mountain Chapter is hosting virtual study sessions that are FREE and open to all members and to the Colorado & Wyoming community at large. Click Here for additional information and to sign up!